Jason Vitamin E Oil is a maximum strength facial treatment that combines vitamin E oil for body with our exclusive blend of 7 essential natural oils, including black currant, evening primrose, macadamia nut and borage. Use at night to help reduce the appearance of fine line and wrinkles. Use on stretch marks and scars. Tocopheryl Acetate, Helianthus Annuus (Sunflower) Seed Oil*, Carthamu Tinctorius (Safflower) Seed Oil*, Borago Officinalis Seed Oil, Camellia Sinensis Leaf Oil, Macadamia Ternifolia Seed Oil(Macadamia), Oenothera Biennis (Evening Primrose) Oil, Ribes Nigrum (Black Currant) Seed Oil. *Certified Organic Ingredient. 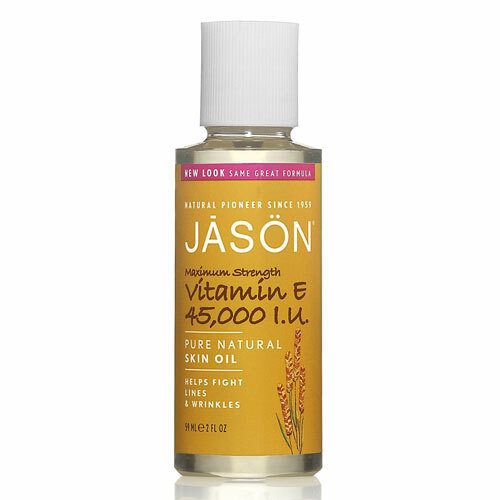 Below are reviews of Jason Vitamin E Oil 45,000IU - 59ml by bodykind customers. If you have tried this product we'd love to hear what you think so please leave a review. 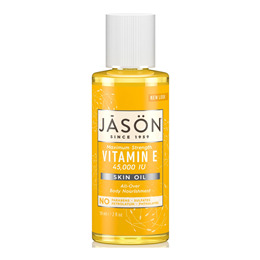 Jason Vitamin E Oil is a maximum strength facial treatment that combines vitamin E oil for body with our exclusive blend of 7 essential natural oils, including black currant, evening primrose, macadamia nut and borage.